Founded in 1853, HealthEast St. Joseph’s Hospital is Minnesota’s first hospital. In 2008, St. Joseph’s undertook an $80 million expansion to develop a revitalized campus setting to house a 300-vehicle parking ramp, materials handling facility, additional state-of-the-art surgical suites and catheterization laboratories, 89 private inpatient rooms to support the cardiovascular and neurosciences programs, and a new 21-room, innovative emergency department. Situated at a major gateway entry to the city, the new structure spans 10th Street in St. Paul, Minnesota. Braun Intertec was hired to provide geotechnical engineering and environmental consulting services for St. Joseph’s Hospital. 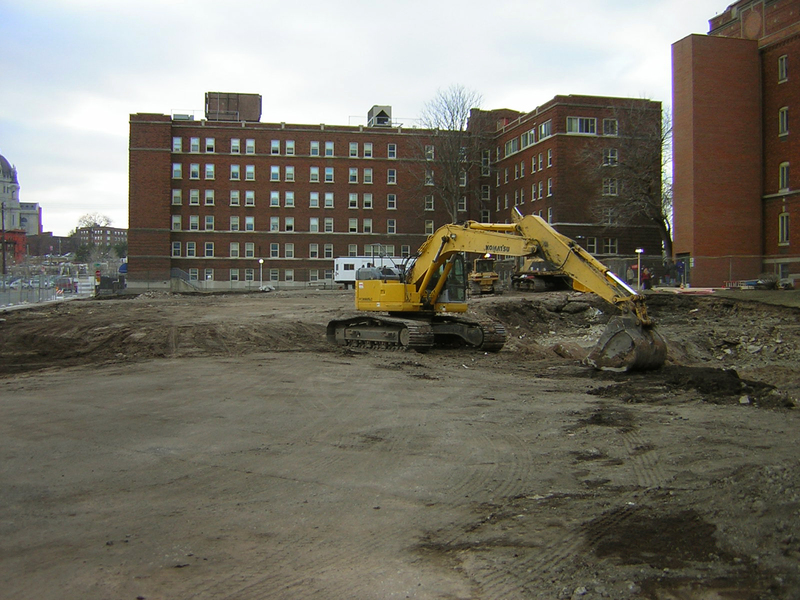 While preparing the site for the parking ramp construction, contaminated soil was encountered that required an emergency response from our environmental consultants. Due to the tight construction schedule, the project owners were concerned about keeping the project on track. We evaluated the soil to confirm the presence of contaminants, and quickly prepared a Response Action Plan (RAP) and an Emissions Control Plan (ECP). We expedited the plan review and approval by the Minnesota Pollution Control Agency (MPCA). The site was entered into the MPCA Voluntary Investigation and Clean up (VIC) program, and the RAP and ECP were approved. We implemented the RAP and the ECP by overseeing the removal of all contaminated fill. Our ability to act quickly lessened the impact to the construction schedule.